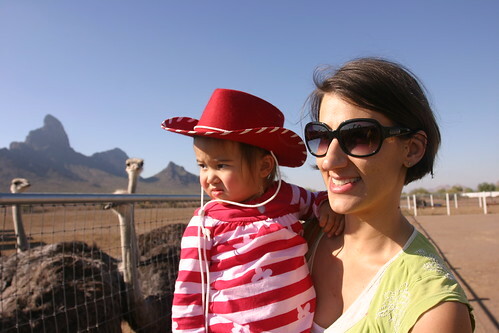 Mali Mish – Rooster Cogburn Ostrich Ranch. 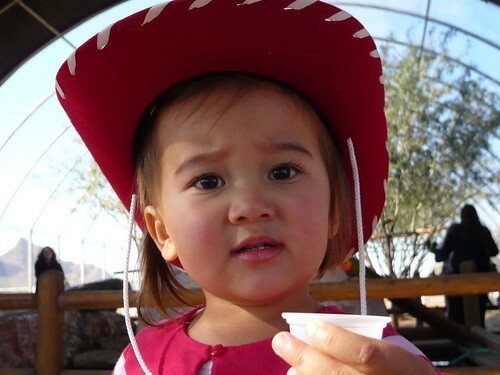 So here we are in the middle of somewhere in Arizona. Not sure why Mama is smiling. 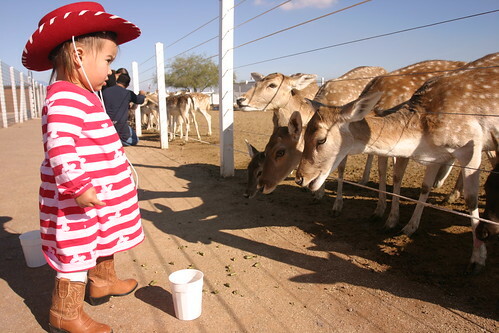 I guess she is fooled by those long eyelashes. Not me! I know better. I can read the danger signs. YES! 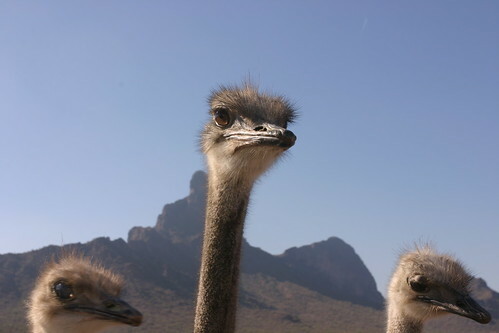 OSTRICH BITE!! Tip #1. 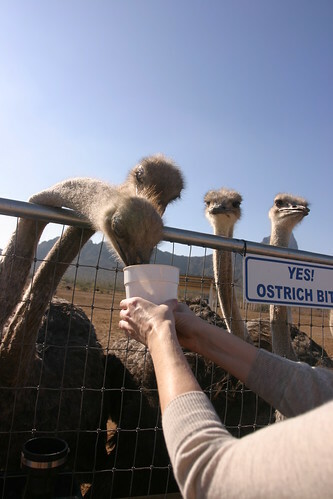 Do NOT feed the ostriches like this. They will take your hand off and then the others will follow. Tip #2. Throw the food at them. Like my friend Carrie did. She’s smart. You should be smart too. Hmmm. No danger signs here. Must be safe. Hehehehee. 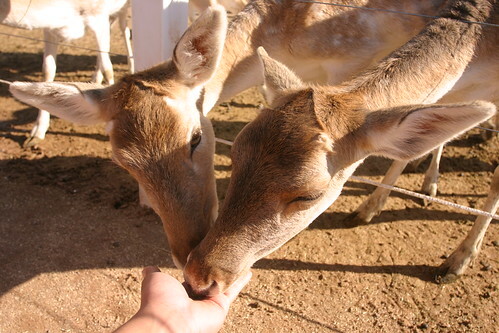 Feeding deer is like getting sweet kisses on your hand. I highly recommend it if you like to giggle. Next up. Birds. 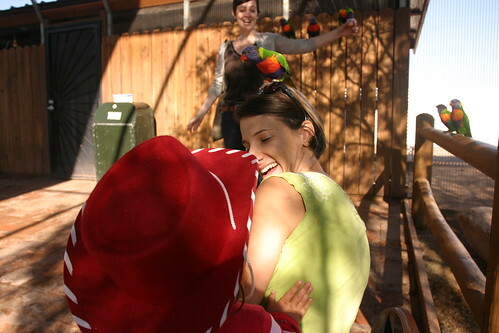 Lorikeets to be exact. You see that over there? Another danger sign. 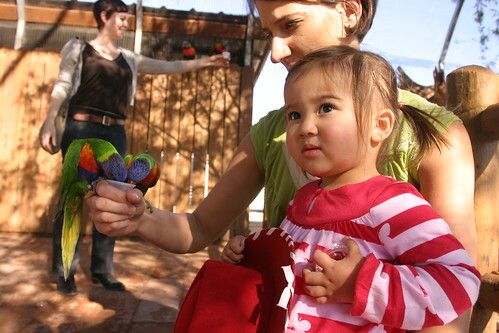 Lorikeets are cute but not cuddly! We might BITE!! I’m telling right now. Keep away from these birds. Trust me. 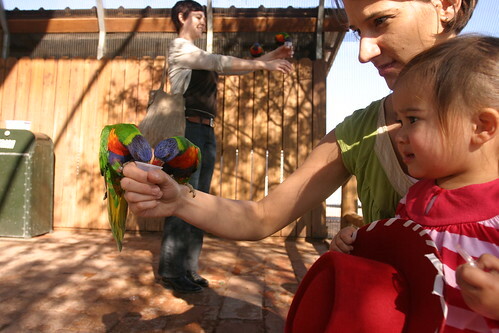 But there was an upside to these birds. Check out Carrie in the background. She is having the best time and made all of our pictures even more fantastic. Don’t believe me? Scroll back up. Hehe. 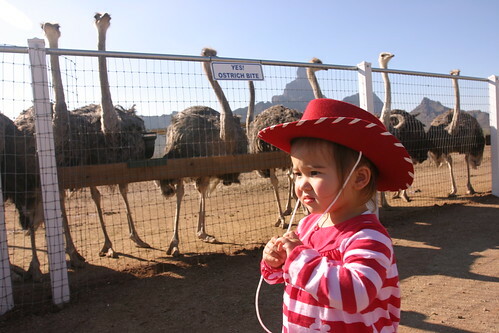 That’s all I have to report from Rooster Cogburn Ostrich Ranch. Oh wait! There are miniature donkeys here too. Come back tomorrow for a special video to see how THAT turned out. 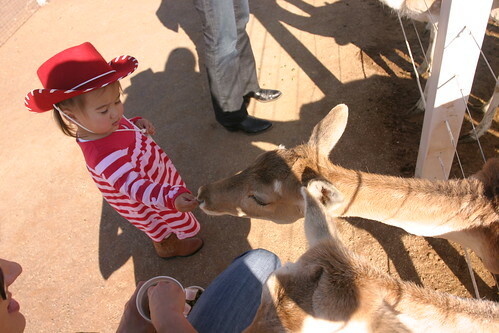 Crazy animals! 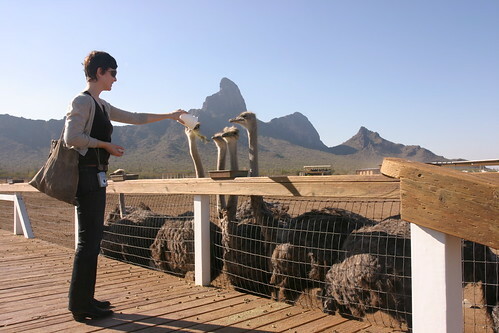 Episode 4: Ava Feeding Donkeys at Rooster Cogburn Ostrich Ranch.